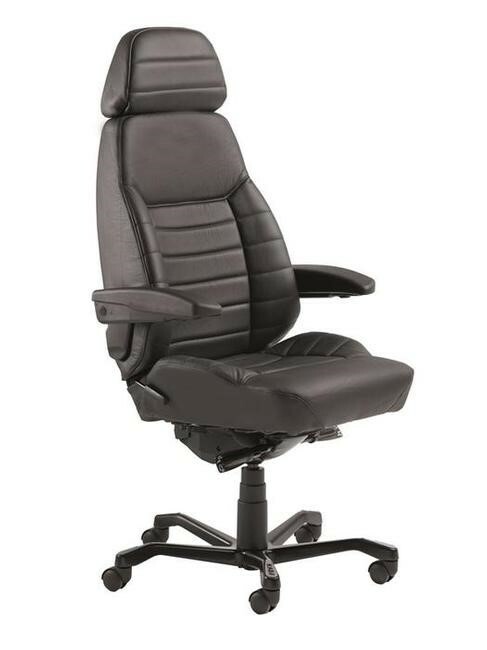 The KAB ACS Executive is one of the finest 24/7 office chairs on the market. The chair is a strong, ergonomic chair that is principally created for users with severe back pain. The KAB ACS uses eight electric powered airbags in the back cushions and seat that can be adjusted according to your preferences. These airbags allow for increased comfort and ergonomic support. There are two airbags situated in the side cushions, three in the backrest, two in the side bolsters of the seat, and the last airbag is placed in the thigh cushion for increased thigh support. The KAB ACS offers a height-adjustable headrest with a tilt option. To suit a variety of office settings the armrests can be raised up or lowered to be placed under your desk. Seat Size 540 mm wide x 500 mm Deep.